City of South Bend v. Kimsey, 781 N.E.2d 683, 687 (Ind. 2003). This citation seems straightforward enough; however, such formatting simplicity fades in a variety of other contexts, such as when using in-text or short-form citations (Rules 2.2(a) and 10.9) or in referencing specific courts and jurisdictions (Rule 10.4), a case’s prior and subsequent history (Rule 10.7), or pending and unreported cases (Rule 10.8.1). Additionally, many courts have their own rules on citation form, which may differ from those found in The Bluebook (see, e.g., Ind. R. App. Proc. 22). Turner v. Bank of North America, 4 U.S. (4 Dall.) 8 (1799). Green v. Biddle, 21 U.S. (8 Wheat.) 1 (1823). — The Bluebook: A Uniform System of Citation R. 10.3.2, at 96 (19th ed. 2010). Still, other questions remain. What made the reporting editor so special to have his name associated with a volume of bound cases decided by the U.S. Supreme Court? Moreover, why did this practice end in 1874 (the final year of cases published in volume 90)? For the countless number of inquiring minds intrigued by these questions, this is the story of the origins of Bluebook Rule 10.3.2. In the narrative that follows, we witness the rise and subsequent fall of the “nominative” reporter, and how one man—a humble jurist from the State of Indiana—boldly entered a profession undergoing radical transition, fully aware that he would never achieve the legacy of his predecessors. This is the story of William T. Otto, the U.S. Supreme Court’s first “anonymous” reporter. Today, by federal statute, the U.S. Supreme Court publishes its opinions in an official set of casebooks called the United States Reports. Under 28 U.S.C. § 411(a) “[t]he decisions of the Supreme Court of the United States shall be printed, bound, and distributed in the preliminary prints and bound volumes of the United States Reports as soon as practicable after rendition, to be charged to the proper appropriation for the judiciary.” The statutory officer responsible for preparing the Court’s decisions for publication is the Reporter of Decisions. Supreme Court opinions are disseminated to the public electronically and in print. Prior to the issuance of bound volumes, the Court’s decisions appear in three temporary forms: (1) bench opinions, which are transmitted immediately following the Court’s decisions and include majority or plurality opinions, any concurring or dissenting opinions, and a prefatory syllabus; (2) slip opinions, which are issued several days later and contain corrections to the bench opinions; and (3) preliminary prints, or “advance pamphlets,” which contain the Court’s opinions and the announcements, tables, indices, and other features that form the U.S. Reports. Prior to final publication of the bound reports, the Reporter and his or her staff review the opinions and other materials in a final editing and indexing process to ensure accuracy of citations and quotations and compliance with the Court’s stylistic rules. Despite the important role the Reporter of Decisions plays in the modern judicial system, the idea of preserving a written record of the Court’s opinions was not a foregone conclusion at the time of the Nation’s founding. During the colonial period, the decisions of American courts were rarely published at all. In practice, lawyers relied on English reports or personal notebooks of local decisions. With independence from England, members of the bench and bar recognized the need to produce a distinctly American corpus juris. By recording judicial opinions and publishing case law, American jurists envisioned a normative vernacular built upon an original body of legal precedent. However, it was not until 1789—with the publication of Ephraim Kirby’s first volume of Connecticut Reports—that the process of legal domestication through case reporting materialized. Even then, the individual efforts of reporters lacked financial backing from state or federal government. By the early 1800s, lawmakers had taken steps to expedite the reporting of cases. This included statutory requirements for judges to commit their opinions to writing, rather than merely declare them orally. For example, an 1808 Indiana Territorial act required judges to “make up and deliver the opinion of the court . . . in writing . . . upon all questions and points of law.” An additional measure involved the appointment of official court reporters, typically (though not always) by statute. An 1804 Massachusetts act authorized the governor to appoint someone “learned in the law” whose duty it was to “obtain true and authentic reports of the [Supreme Judicial Court’s] decision[s] . . . and [who] shall annually publish the same.” At the federal level, Congress enacted legislation in 1817 directing the Supreme Court to appoint an official reporter who would “print and publish” the Court’s decisions “or cause [those decisions] to be printed and published” for distribution to the Secretary of State, various other government officials, and the Library of Congress (3 Stat. 376). Unlike their modern counterparts, early Supreme Court reporters lacked official support for their endeavors. For nearly thirty years following the creation of the federal government, the Court’s decisions were published by independent reporters who relied on private sales as compensation for their efforts. These editors, whose names adorn the first ninety volumes of Supreme Court Reports, are known collectively as the “nominative” reporters (the Library of the U.S. Supreme Court maintains a complete list of cases by reporter volume and date of decision). — Lawrence M. Friedman, A History of American Law 242 (3d. ed. 2005). Dallas’s efforts were purely entrepreneurial as he received no government compensation for his venture. The quality of his work, however, proved inconsistent. His reports—a total of four, containing such landmark cases as Chisolm v. Georgia, 2 U.S. (2 Dall.) 419 (1793); and Calder v. Bull, 3 U.S. (3 Dall.) 386 (1798)—were often characterized by omissions, errors, and publishing delays. His last volume, for example, containing the Court’s decisions through its August 1800 term, became publicly available in 1807. Despite these setbacks, however, Dallas’s accomplishments—virtually without precedent in American law—set the stage for his successors. 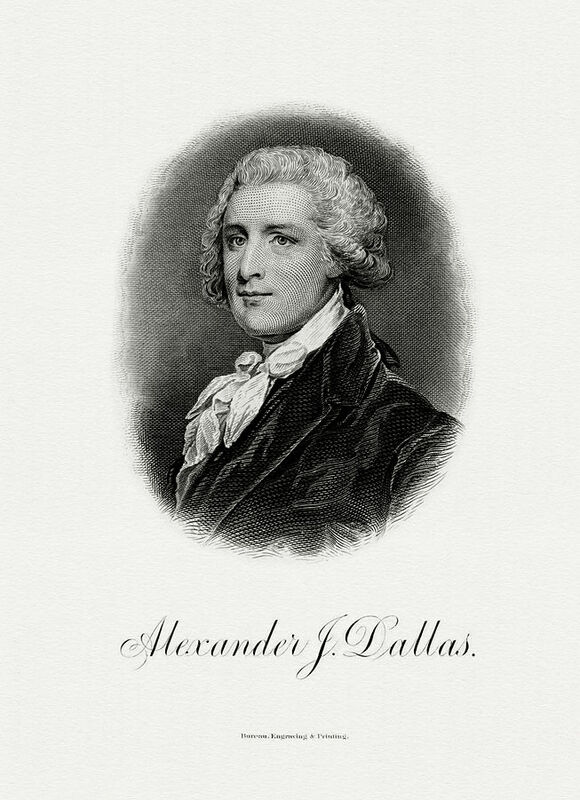 Dallas retired from the position in 1800, when the Court moved from Philadelphia to its new home in Washington, D.C.
[m]uch of that uncertainty of the law, which is so frequently, and perhaps so justly, the subject of complaint in this country, may be attributed to the want of American reports. Many of the causes, which are the subject of litigation in our courts, arise upon circumstances peculiar to our situation and laws, and little information can be derived from English authorities to lead to a correct decision. Uniformity, in such cases, cannot be expected where the judicial authority is shared among such a vast number of independent tribunals, unless the decisions of the various courts are made known to each other. Even in the same court, analogy of judgment cannot be maintained if its adjudications are suffered to be forgotten. It is therefore much to be regretted that so few of the gentlemen of the bar have been willing to undertake the task of reporting. In addition to incorporating tables, indices, and annotations—features introduced by his predecessor—Cranch supplemented the Court’s opinions with “faithful summar[ies] of the arguments of counsel” and, in his first and fourth volumes, extensive appendices of notes. However, considering the added expense of printing such material, his attempts at scholarship often seemed gratuitous to those legal practitioners in demand of concise and timely information at low cost. During Cranch’s time as Reporter, the Court’s role in the framework of national government had expanded dramatically, due in large part to its decision in Marbury v. Madison, 5 U.S. (1 Cr.) 137 (1803). 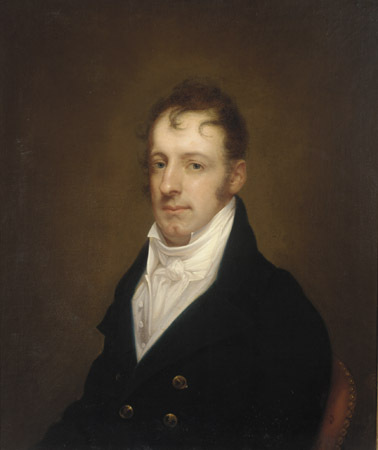 And Joseph Story, appointed to the Court as Associate Justice in 1811, brought a strong advocate in advancing American jurisprudence through prompt and accurate reporting. Cranch, however, largely failed to meet these expectations. By 1815, not a single case had been published since the Court’s February 1810 term, leaving 131 decisions unavailable to the bench and bar. The need for an official, salaried Reporter seemed the obvious course of action to accommodate the Court’s expanding docket and increasing demand from the national bar. Altogether, Wheaton published twelve volumes of reports, which included such landmark cases as McCulloch v. Maryland, 17 U.S. (4 Wheat.) 316 (1819); Trustees of Dartmouth College v. Woodward, 17 U.S. (4 Wheat.) 518 (1819); Johnson v. M’Intosh, 21 U.S. (8 Wheat.) 543 (1823); Gibbons v. Ogden, 21 U.S. (9 Wheat.) 1 (1824); and The Antelope, 23 U.S. (10 Wheat.) 66 (1825). Wheaton’s reports received a favorable response among members of the bar, at least from those who could afford them. In his devotion to improving the law through scholarly excellence and elaborate commentary, he unwittingly drove the cost of his reports well beyond the reach of the common practitioner, ultimately resulting in meager sales. [m]any questions which have been brought up in those cases are of usual occurrence in the common transactions and business of life; and are of very general application and influence. Considerations growing out of these circumstances, impose the necessity, that the law thus general, thus established, thus supreme, should be universally known. That there should be found but few copies of the reports of the cases decided in the Supreme Court of the United States, in many large districts of our country in which there are federal and state judicial tribunals, is known to be a frequent fact. . . . It will not be denied, that these circumstances are the consequences of the heavy expense which must be incurred by the purchase of the three volumes of the Reports of Mr. Dallas, the nine volumes of Mr. Cranch, and the twelve of Mr. Wheaton’s Reports. Following the decision in Wheaton, Peters remained in office for another nine years. Despite the success of his Condensed Reports, however, his annual volumes of Supreme Court reports received less than favorable reviews, often criticized for lack of clarity in summarizing the Court’s decisions. 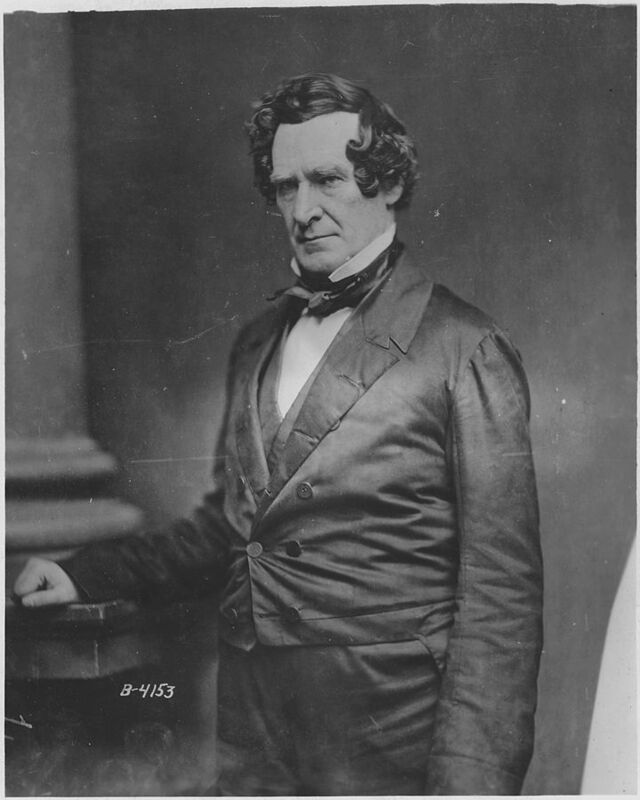 Eventually, personal conflicts with several of the Justices resulted in Peters’ termination in 1843. [I]t is the opinion of these men, that this free government was established on purpose to extend the blessings of the glorious institution of slavery. . . . The country will feel the consequences of the decision more deeply and more permanently, in the loss of confidence in the sound judicial integrity and strictly legal character of their tribunals, than in anything beside; and this perhaps may well be accounted the greatest political calamity that this country, under our forms of government, could sustain. Howard resigned his position as reporter in 1861 to pursue (what would be) an unsuccessful bid for governor of Maryland. 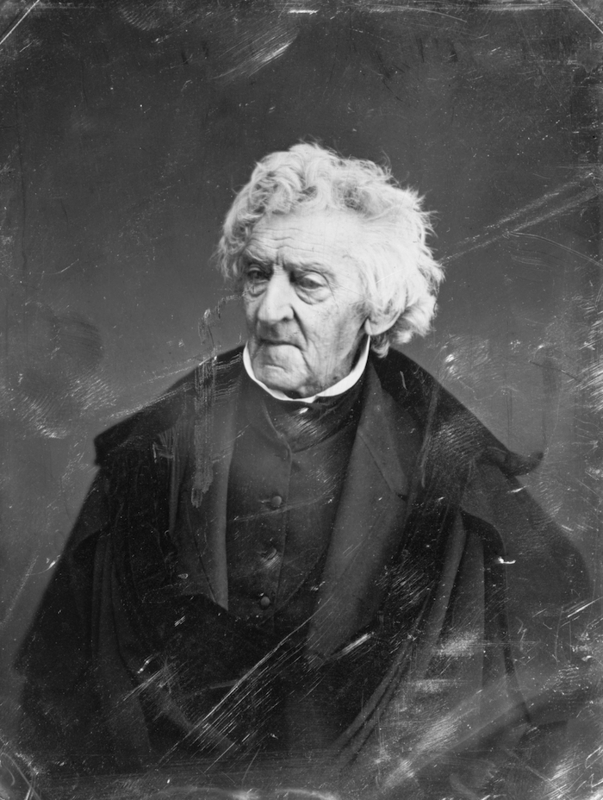 Jeremiah Black, a former U.S. Attorney General and Secretary of State under President James Buchanan, failed confirmation to the U.S. Supreme Court bench by single vote in 1861. Instead, he became the Court’s reporter, a position he held for only two terms, editing two volumes of reports before resigning in 1864. The last of the nominative reporters, John William Wallace, came to the Court in 1864, serving for over ten years. During his tenure, he published 23 volumes of reports, encompassing such landmark cases as Ex Parte Milligan, 71 U.S. (4 Wall.) 2 (1866); and the Slaughter-House Cases, 83 U.S. (16 Wall.) 36 (1873). In the decade following the Civil War, the Office of Reporter underwent several changes. In 1866 Congress granted the reporter a period of eight months in which to publish decisions and raised the officer’s annual salary to $2,500, provided that he “deliver to the Secretary of the Interior for distribution . . . three hundred copies” of the annual reports. 14 Stat. 51, 205 (1866). Eight years later Congress appropriated $25,000 for the costs of publication. 18 Stat. 204 (1874). With reporting fully financed by the federal government, all published reports, from volume 91 forward, displayed the title “United States Reports,” officially supplanting the practice of designation by reporter. The first of these “non-nominative” reporters, William Tod Otto, quietly assumed public office in late fall of 1875. Over the course of the next decade, Otto rose to prominence at both the state and national political levels. Despite an unsuccessful run for Indiana Attorney General in 1858, he served as a state delegate to the Republican National Convention two years later. In 1863 President Lincoln appointed him Assistant Secretary of the Interior, a position Otto held for eleven years and during which time he assumed a leading role in American Indian affairs. A personal friend of Lincoln’s, Otto was among those at the president’s deathbed on April 15, 1865. "Bachelder, Alonzo & David Print of Lincoln's deathbed" (1909). Library of Congress, Rare Book and Special Collections Division, Alfred Whital Stern Collection of Lincolniana. Otto is standing directly above Lincoln (slightly to the left). During this period, Otto remained an active member of the bar. In 1873 he argued before the U.S. Supreme Court, contending that Section 25 of the Judiciary Act of 1789, as amended by statute in 1867, precluded the Court from reviewing a state court’s interpretation of state law. As originally enacted, the Judiciary Act of 1789 included an express prohibition on the Supreme Court’s appellate jurisdiction to review state court rulings on state law issues. The 1867 amendment, however, contained no such proscription. The Supreme Court agreed with Otto’s arguments, holding in Murdock v. City of Memphis, 87 U.S. (20 Wall.) 590 (1875) that it lacked jurisdiction to review state court decisions resting on adequate and independent state grounds. "William T. Otto, Reporter of Decisions, U.S. Supreme Court" (ca. 1860-65). Image via U.S. National Archives. During his tenure as Reporter of Decisions, Otto completed seventeen volumes of U.S. Reports (U.S. 91-107), encompassing such cases as Pennoyer v. Neff, 95 U.S. 714 (1877); Wilkerson v. Utah, 99 U.S. 130 (1878); The Trade-Mark Cases, 100 U.S. 82 (1879); Strauder v. West Virginia, 100 U.S. 303 (1880); and United States v. Harris, 106 U.S. 629 (1883). The reporter has carefully avoided the faults of his predecessor; and his reports bear the marks of faithful and conscientious work, successfully performed. The praise which belongs to him is much greater than it would have been if he had only to follow an example of good reporting. But we would not have it supposed that we are pleased with these merely because they are an improvement on former volumes of Supreme Court Reports. On the contrary, we think the work, tested by any other standard, is exceedingly well done; and these volumes are in themselves highly creditable to the reporter. The statements and the head-notes are generally clear and precise, and are expressed in simple and accurate language; the head-notes also have the merit, not always belonging to head-notes, of being easy to understand. We are inclined to think that, a little too often, the whole report consists only of the judgment of the court. In most of these instances, the court has itself undertaken to state the case in the judgment; and it would be hard, under such circumstances, to blame the reporter for not trying to do it better himself. Still, it might sometimes be done. . . . [O]ne or two pages of statement by the reporter would have made [certain cases] much more intelligible to the reader. In 1883, following the completion of 107 U.S., Otto resigned from his position as Reporter. After his departure, he remained briefly in public office, serving as U.S. delegate to the Universal Postal Congress in 1885, and eventually returned to private practice. On November 7, 1905, at the age of ninety, Otto died at his birthplace in Philadelphia. He was later buried in Brownstown, Indiana. Even the Court’s nominative reporters, despite the long-standing prominence of their published namesakes, have fared only slightly better than their anonymous successors in the course of history. Prior to the 1955 publication of the ninth edition of The Bluebook, which introduced the precursor to Rule 10.3.2, citations to Supreme Court reports consisted of the reporter’s name alone, with the jurisdiction (U.S.) confined to parentheses (see, e.g., A Uniform System of Citation R. I.A.3, at 5 (8th ed. 1949)). The system of using U.S. numericals, with a parenthetical reference to the now-demoted reporter, prompted an adverse reaction from several prominent jurists. Justice Felix Frankfurter, for example, in submitting his article for publication in volume 69 of the Harvard Law Review, insisted his case citations follow the customary form, citing the “need for preserving ancient traditions.” Today, by contrast, while court rules often refer to The Bluebook as the default guide to citation form (thus incorporating Rule 10.3.2), the practice of omitting the reporter’s name altogether occurs with relative frequency in other forums (see here and here). While modern Supreme Court reporters remain relatively obscure to the public, they continue to play an essential role in chronicling and disseminating the law of the land. They also persist in breaking new ground. In 2011, Christine Luchok Fallon, the Court’s sixteenth Reporter of Decisions, became the first woman to undertake the position. In leading the way for his “anonymous” successors-in-office, William Tod Otto stands as a model public servant in improving and extending “that magnificent series of reports” to the herald of today’s U.S. Supreme Court. *The author would like to thank his first year legal writing instructor, Prof. Jonathan Warner, for his constructive introduction to the citation process. The author would also like to extend commendations to his colleagues on volume 25 of the Indiana International & Comparative Law Review—especially Paul Babcock, Editor-in-Chief; and Peter Elliott, Executive Managing Editor—in sharing the hardships of mastering this process. Act of May 21, 1866, ch. 88, 14 Stat. 51. Act of July 23, 1866, ch. 208, 14 Stat. 191, 204. Act of June 23, 1874, ch. 455, 18 Stat. 204. Baird, Lewis C. Baird's History of Clark County, Indiana (1909). Carrington, Paul D. Teaching Law in the Antebellum Northwest, 23 U. Tol. L. Rev. 3 (1991). Closing Scenes, N.Y. Times, Apr. 16, 1865, at 1, c. 2. Beck, Karen, Boston College Law Library. A Brief History of Anglo-American Case Reporting, 1272-1885 (last updated, Mar. 5, 2014). Dunne, Gerald T. The Early Court Reporters, 1976 S. Ct. Hist. Soc'y Y.B. 61. Fed. Judicial Ctr. Biographical Directory of Federal Judges, 1789-Present (last visited May 20, 2015). Fed. Judicial Ctr. History of the Federal Judiciary: Court Officers and Staff: Reporter of Decisions (last visited May 20, 2015). Fountaine, Cynthia L. Article III and the Adequate and Independent State Grounds Doctrine, 48 Am. U. L. Rev. 1053 (1999). Howard, Benjamin C. A Report of the Decision of the Supreme Court of the United States, and the Opinions of the Judges Thereof, in the Case of Dred Scott versus John F. A. Sanford, 85 North Am. Rev., no. 177, Oct. 1857, at 392. Joyce, Craig. “A Curious Chapter in the History of Judicature”: Wheaton v. Peters and the Rest of the Story (of Copyright in the New Republic), 42 Hous. L. Rev. 325 (2005). Joyce, Craig. The Rise of the Supreme Court Reporter: An Institutional Perspective on Marshall Court Ascendency, 83 Mich. L. Rev. 1291 (1985). Joyce, Craig. The Torch is Passed: In-Chambers Opinions and the Reporter of Decisions in Historical Perspective, in 3 In Chambers Opinions by the Justices of the Supreme Court of the United States (Cynthia Rapp ed., 2004). Notes From the Capital, N.Y. Times, Nov. 2, 1875, at 3. Oxford Companion to the Supreme Court of the United States (Kermit L. Hall, James W. Ely & Joel B. Grossman eds., 2d ed. 2005). Supreme Court of the United States, Information About Opinions (last updated Mar. 19, 2015). Surrency, Erwin C. A History of American Law Publishing (1990). Wagner, Frank D. The Role of the Supreme Court Reporter in History, 26 J. Sup. Ct. Hist. 9 (2001). William Tod Otto, in Dictionary of American Biography (1936). Wylie, Theophilus. Indiana University, Its History from 1820, when Founded, to 1890 (1890).